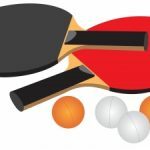 A game of ping pong has been played with the Housing and Planning Bill between the House of Commons and the House of Lords in recent weeks, as the bill has gone back and forth being amended. This, of course, has caused a lot of anxiety as all this to-and and fro-ing has seriously delayed the Bill – and with Parliament about to finish for the summer recess, all those concerned wanted it to become an Act before the summer holidays began. The discussion that ensued covered a number of important planning issues, such as neighbourhood rights of appeal, starter homes and councils’ requirement to keep brownfield registers. Thankfully, the table tennis match has come to an end, and the Bill gained Royal Assent, which means it has now also become an Act. Quite why this particular bill caused such a ruckus is unclear. However, we are pleased that an attempt by the Lords to insert an ability for third-party appeals has been retracted. This particular issue has been debated at various points for many years, as it is hard to see just how it would work in practice. It is feared that it would be used as a delaying tactic for developments that are only objected to by one or two protagonists – and the costs involved would see a developer or applicant walk away from projects that could be of benefit to the wider community. In this particular instance the Lords suggested that Parish Councils or Neighbourhood Forums would be able to appeal against the granting of permission where a proposal does not accord with policies in an emerging or made neighbourhood plan (NP). We believe this would be harmful to the planning process because District and Borough Councils are the determining authorities for planning applications, not Parish Council or Neighbourhood Forums and to add a further layer of decision-making would bloat the planning process. It is right that an applicant should have the right to appeal, particularly as the decision is reached by the Planning Inspectorate or Secretary of State, both of which are impartial and give due regard to Council and third party representations. In actual fact we have already seen the Secretary of State ‘call in’ decisions where there was concern that they might conflict with NP policies, so why add another unnecessary layer to the process? Especially as some NPs still seem to be being prepared with the original aim of constraining rather than embracing development. In next month’s Blog we will focus on another hot topic from the new Act; the Government’s starter homes initiative. What does it mean and is it likely to be successful? If you would like to discuss your own project with us, especially in light of these recent changes in planning law, or just find out more about what we do, please browse the website or drop us a line at info@apexplanning.co.uk without obligation.